FOIMan reviews JISC’s latest report on FOI in higher education. There aren’t that many sources of information on FOI performance. Central government of course publishes statistics on its own compliance, but outside of Whitehall, the availability of statistics on how public bodies apply FOI is ironically pretty limited. 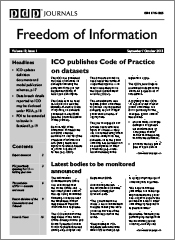 If you want to know more about sources for FOI statistics, I wrote about it for the FOI Journal last year. One of the sectors that does publish information every year is the higher education sector. Every year, JISC, the higher education information and research body, conducts a survey of universities on their experiences with FOI, EIR and data protection subject access requests. The data is collated into handy charts which are made available online and can be downloaded in reusable form for further number crunching. It always provides quite a detailed insight into FOI handling and this year’s is no different. the most time-consuming parts of handling an FOI request were “locating and accessing information”, “reviewing information” and “considering exemptions”. We have to remember that these figures are self-reported and the survey is voluntary – many universities didn’t report at all. However, what we do have is some very useful data on how FOI is working in these public bodies. Although JISC introduce the report by commenting that the rise in FOI requests represents a “seven-fold increase” since reporting began in 2005, it should be noted that this started from a very low base. Most local authorities would kill to have FOI request rates as low as 232. Despite the common complaint about FOI requests from IT companies trying to get hold of procurement intelligence, only 7% of requests are about procurement (though its possible these requests were counted in the 9% of requests about IT provision). Only 13% of requests are recorded as coming from “commercial organisations”. A note on use of exemptions. There was quite a bit of commentary when the Institute for Government published a report last month suggesting that the government’s stats indicated that government departments were becoming less open as they were using more exemptions, and failing to meet deadlines more often. There’s nothing to suggest this is a problem in Higher Education in JISC’s stats, and in any case I’m not at all sure that you can make that conclusion from raw statistics. After 12 years of FOI, it may just be that government departments have already disclosed all the “low-hanging fruit”, and that what remains now are the difficult cases that are more likely to be refused or take longer to answer. 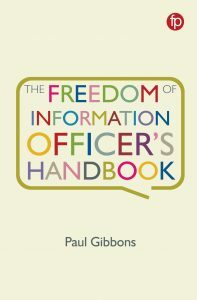 What’s really needed if we want to understand changing attitudes to FOI in public bodies is research involving a qualitative analysis of the types of requests being refused – are they the ones that would have been answered in the early days of FOI? Or are the questions being asked more challenging these days? One for the academics in our higher education institutions. Statistics are helpful, but they only provide part of the picture. 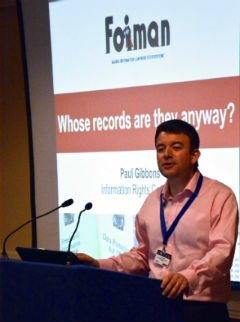 If public authorities want tips on how to improve their performance under FOI, just a reminder that you can join me for one of my training courses on FOI for Act Now Training, starting with an intensive look at the FOI Exemptions on 24 April in London. Details on the Act Now Training website.